Buy Femmephase - Natural Hormone Balancer and receive a FREE Hormone Replacement Therapy - The Real Truth Book. Limited Time Only! 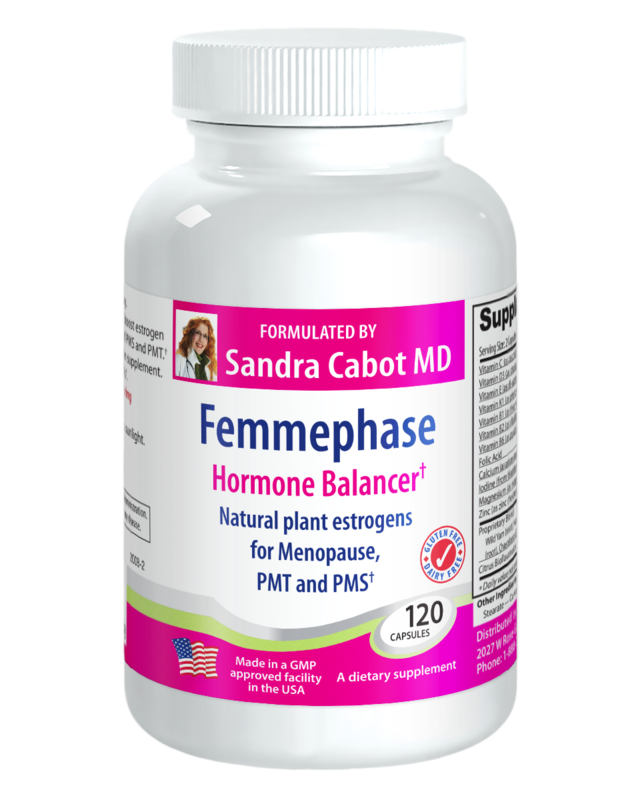 Femmephase is an all natural product. 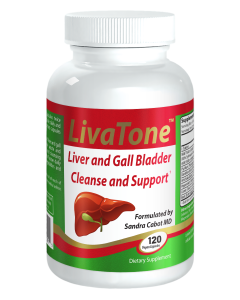 It contains a mixture of phytoestrogens from herbs and foods combined with vitamins and minerals. It can best be described as a "Super Food for the Hormones". 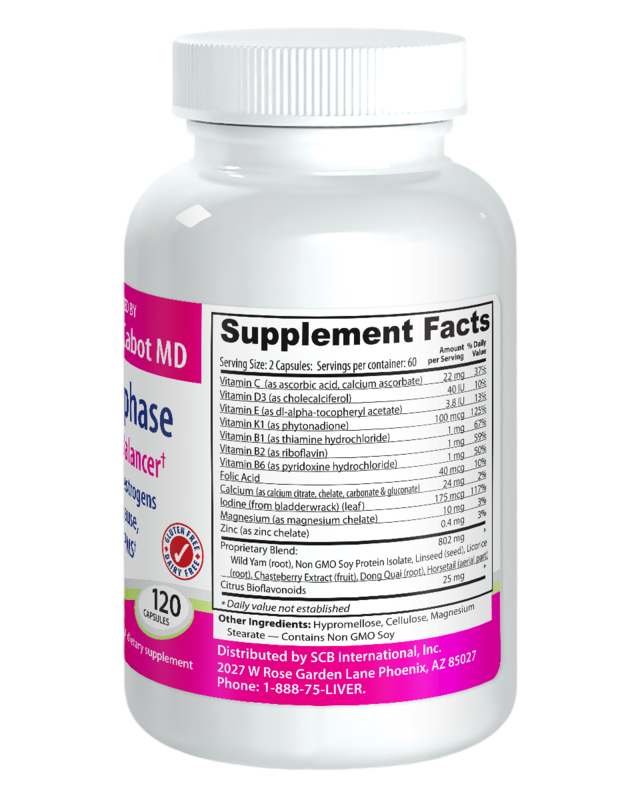 Femmephase may be used as a natural alternative or adjunct to Hormone Replacement Therapy. This book will help women of all ages. 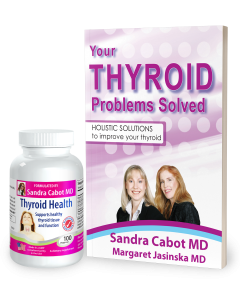 By exploring the common misconceptions as well as the true facts about H.R.T., Dr Cabot explodes the myths surrounding menopause. 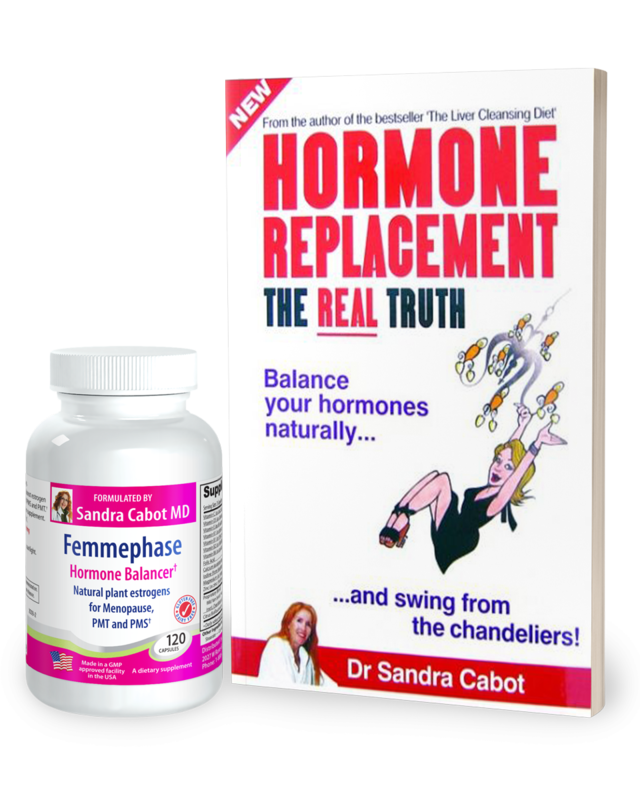 Here at last from an Australian pioneer in the field of women's health is a TOTALLY NEW and TRUTHFUL perspective on Hormone Replacement. Here is a book that tells the truth! Dr Cabot explains that there is a WORLD OF DIFFERENCE between Natural HRT and the synthetic options. How do I feel and look today? How does my mind function? Do I have energy and vitality? Do I feel sexual, sensual and feminine? Can I have a good sexual relationship with my partner? How can I remain healthy for the next 20 years? "Women are not so much interested in how they will feel in 20 or 30 years time, but rather want to be able to enjoy the still relatively young years, at least in today's terms, that exist between the ages of 45 to 65. Today's woman is smart and well educated, and wants to know ALL her options." During the 1980s, menopause was "medicalised" by drug companies and women were made to feel that menopause was a disease requiring long term use of large doses of synthetic hormones. This paradigm has now been shown to be categorically wrong and menopause should no longer be treated as a disease. Many women now find themselves in the dilemma of "I don't feel safe with HRT, but I don't feel well without it." Many women who have given up their HRT are now finding that they have withdrawal symptoms and cannot find an effective solution to carry them through the turbulent years of menopause. 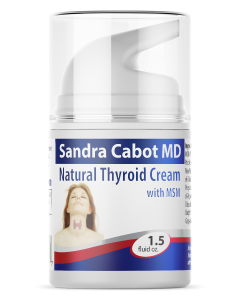 Thankfully Dr Cabot shows us how natural bio-identical hormones made in the laboratory from plant hormones can be given in low doses and in forms that are much safer then the conventionally used brand name HRT. For example, natural hormones can be given in the form of creams and lozenges that are tailor made for every individual woman. The solutions to the side effects of synthetic or excessive doses of HRT are provided, which enables the patient to become aware of all her options. Advice is given on how the patient can change from synthetic HRT to natural HRT and their equivalent dosages. Delicious recipes and menus are provided to enable women to increase their intake of cancer preventing phyto-estrogens and antioxidants. 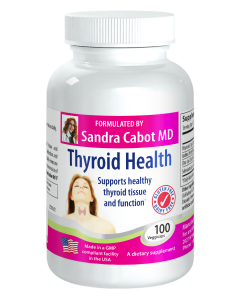 Dr Cabot shows how NATURAL BIO-IDENTICAL HORMONES, made in the laboratory from plant hormones, can be given in low doses and in forms that are much safer then the conventionally used brand name HRT. Natural hormones can be given in the form of creams and lozenges that are tailor made for every individual woman. Well, no wonder women are confused! The experts are confused as well; some believe that conventional HRT is still safe, other eminent professors implore doctors to take women off HRT. Just because yet another hormone controversy has raised its head, does not mean that all women will want to stop taking any form of HRT. There is no doubt that natural hormones can help us to feel and look younger, as well as keep us sexually young. Yes "hormones make the world go round", and controversial or not, they are not going to become strictly taboo! Since the results of the American Women's Health Initiative Study were published in July 2002, many women have stopped taking their Hormone Replacement Therapy (HRT). Many of these women now feel frightened and confused and somewhat abandoned, as they now wonder what they can do about their flagging hormones. 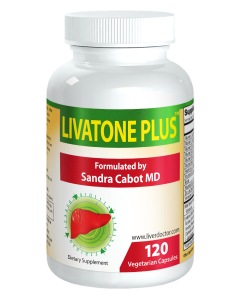 However the consensus is that it is no longer safe for women to take synthetic or cross species hormone tablets long term for the prevention of heart disease or osteoporosis. Well that has to be accepted, but what women really want is something to improve the quality of their lives as they struggle with the symptoms of menopause. 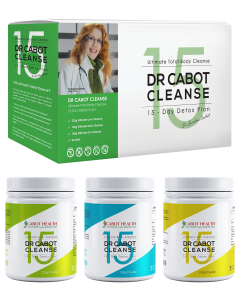 Dr Cabot's book brings new hope and clarity for thousands of women who have been left wondering how they will cope. 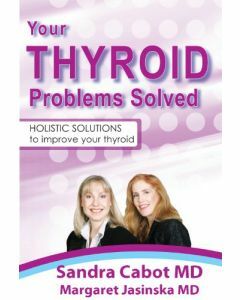 Dr Cabot's book is well researched and contains the most recent information from clinical trials using synthetic and natural hormone replacement therapy. This book will also be of great interest to medical doctors who are faced with the daunting challenge of helping menopausal women. 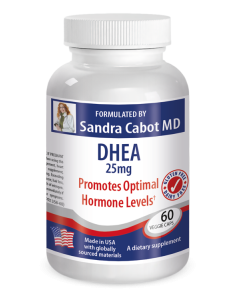 Many doctors are unaware of the huge and wide-ranging benefits that natural hormone replacement can offer women with hormonal imbalances.